Pine Oil Poisoning is the accidental or intentional intake (swallowing) of the compound. What is Pine Oil Poisoning? It is also used for its medicinal benefits including as an expectorant (for chest congestion), skin care, anti-oxidant, disinfectant, etc. What are the Causes of Pine Oil Poisoning? What are the Signs and Symptoms of Pine Oil Poisoning? The signs and symptoms of Pine Oil Poisoning can vary from one individual to another. It may be mild in some and severe in others. Several systems of the body, such as the respiratory system, digestive system, nervous system, vascular system, and ENT may be affected. How is First Aid administered for Pine Oil Poisoning? Who should administer First Aid for Pine Oil Poisoning? 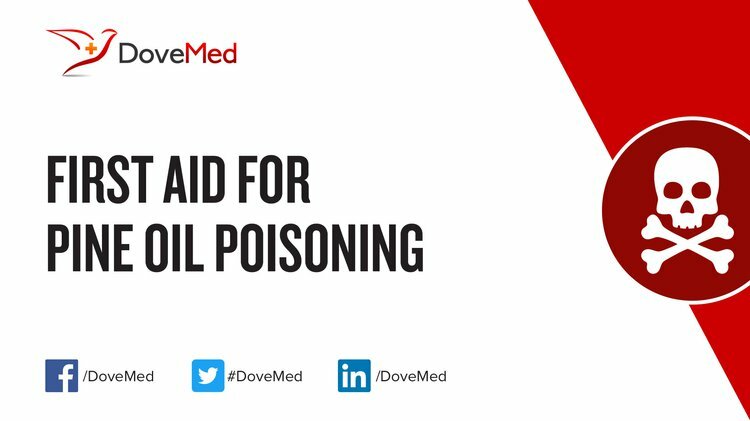 First aid for Pine Oil Poisoning is administered by healthcare professionals. What is the Prognosis of Pine Oil Poisoning? How can Pine Oil Poisoning be Prevented? Vallinayagam, R., Vedharaj, S., Yang, W. M., Lee, P. S., Chua, K. J. E., & Chou, S. K. (2013). Combustion performance and emission characteristics study of pine oil in a diesel engine. Energy, 57, 344-351. Martz, W. (2010). A lethal ingestion of a household cleaner containing pine oil and isopropanol. Journal of analytical toxicology, 34(1), 49-52.